I thought Whirl would be nice in 4 colours rather than the two I had made it with. So here's a little visual aid if you'd like to make one of your own. Use your favorite way to make the flying geese in the size of your choice. Saw your earlier version of this block and loved it. This is fun too! I enjoy pinwheels and half-square triangles of all kinds. 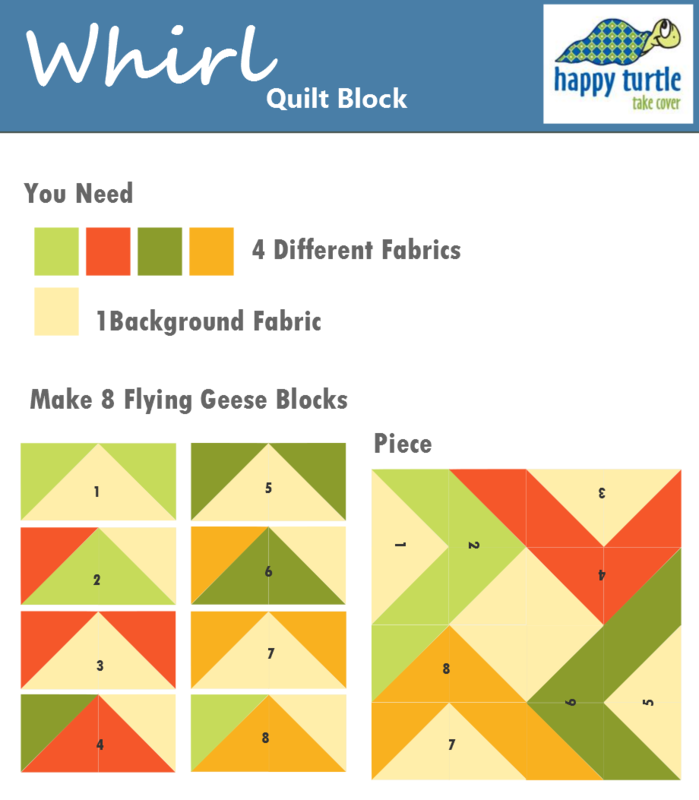 You should enter the accuquilt quilt block design contest at accuquilt.com. Looks like lots of fun prizes.